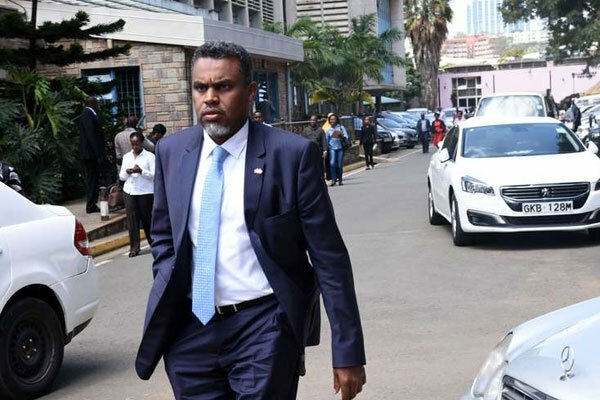 DPP Noordin Haji has directed the DCI to immediately arrest of six people; one businessman and five Nairobi county officers. The six are accused of irregularly awarding tenders and payments at the county assembly. According to the DPP investigations revealed that Primara Ventures, owned by Raphael Mwinzi Maluki was irregularly awarded a Ksh.997,926 tender for the supply of books to the Nairobi County Assembly Resource Center. The books, Haji notes, were never supplied. “The investigations also established that the said tender was never advertised and the quotations used during the process were irregularly prepared by procurement officers attached to the Nairobi County Assembly,” reads the statement in part. The six are: Raphael Mwinzi Maluki (Primara Ventures), Jacob Ngwele Muvengi (Clerk, Nairobi County Assembly), Adah Awuor Onyango (Deputy Clerk), Philomena Kavinya Nzuki (Principal Accountant), James Kariuki Kaguma (senior Precurement Officer) and Fredrick Macharia Mwangi (Senior Finance and Planning Officer). DCI detectives have already arrested three Nairobi County Assembly employees for conspiring to defraud the county of Sh997,926.